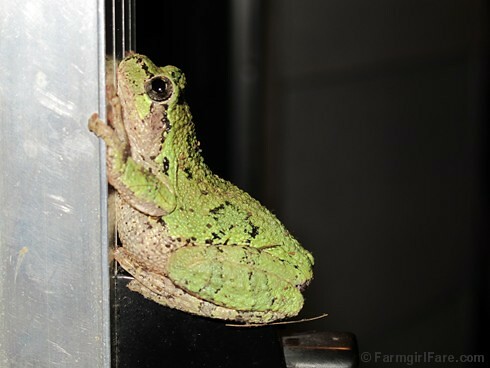 © FarmgirlFare.com, where you never know what you'll find on the front door when you come back from tucking in the sheep—and this has been the froggiest spring we can remember. They are, as you can clearly see, everywhere. It's great. A beautiful little creature. I love frogs!